AROUND 200 people were estimated to have attended the Lismore Southern Cross University and Multitask's event at Lismore Quad yesterday. SCU project officer for Student Access & Inclusion Shelley Odewahn said it was all part of their 25th anniversary celebrations of the United Nations International Day of People with Disability. Lismore's International Day of People with Disability event: Southern Cross University and Multitask – with the support of DAISI, Ability Incorporated, Social Futures, Richmond-Tweed Regional Library, Lismore Regional Gallery and Real Artworks – hosted ‘Community Picnic in the Quad’ to celebrate the celebrate the 25th International Day of People with Disability (IDPwD). "We had a great community event, free BBQ and a range of fun activities, including zumba, art workshops and face painting,” Ms Shelley said. Program facilitator for Club Lane Multi Task Eli Partridge said lots of service providers and other people came down to the Quad celebrate those with a disability. "It is awesome to be down here with everyone and to be able to use the new gallery space, it is really special,” Mr Partridge said. 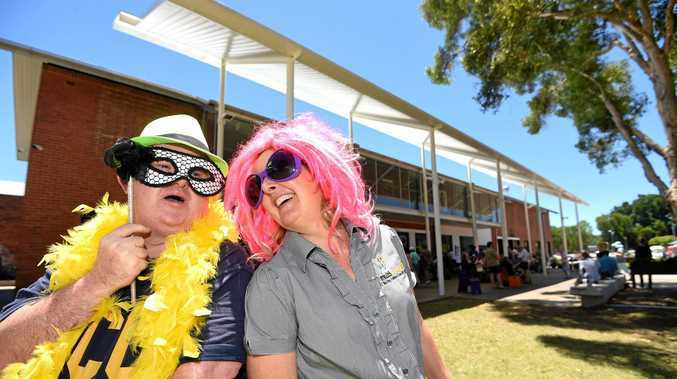 With the support of DAISI, Ability Incorporated, Social Futures, Richmond-Tweed Regional Library, Lismore Regional Gallery and Real Artworks the 'Community Picnic in the Quad' went off without a hitch.